It is 1953, and a victorious Adolf Hitler extends his power into Africa as he prepares to implement the Final Solution: the resettlement of European Jews to Madagascar. 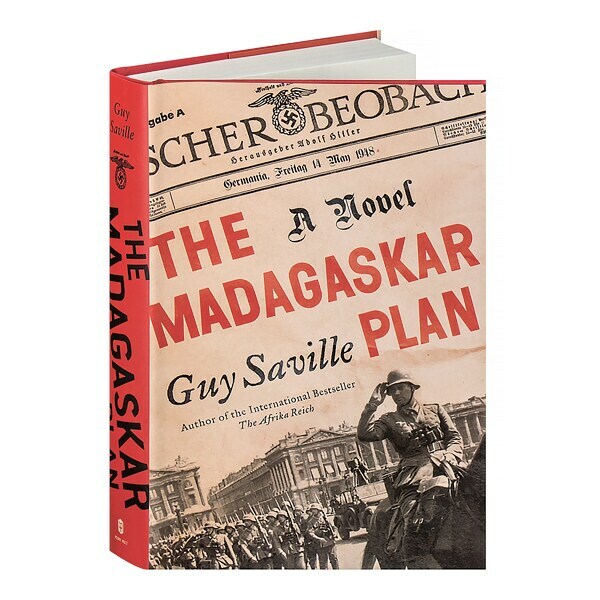 In Guy Saville's second installment of the alternate history trilogy that began with 2011's The Afrika Reich, British forces conspire to incite colony-wide revolt, resting their hopes on the expertise of Reuben Salois, an escaped leader of the Jewish resistance. Meanwhile, ex-mercenary Burton Cole scours the island for his wife and child, but as chaos descends and the Nazis begin to crush the insurrection, he must decide whether he will try to make history, or be at the mercy of it.